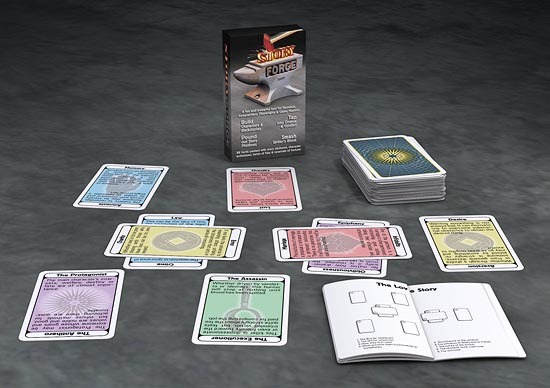 There's a Kickstarter project underway for Story Forge to create Brainstorming Cards for Storytellers. It's a neat little timesaver or brainstorming deck to help come up with ideas for plotted adventures or for writing fiction. Reminds me a lot of the Deal-a-Plot or Deal-a-Story decks from times past though geared toward fantasy fiction. Check it out!